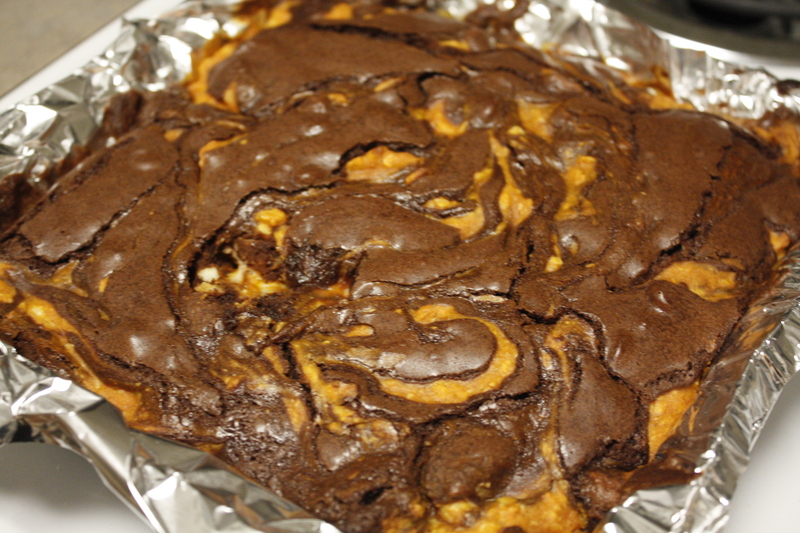 An old friend suggested this amazing recipe for pumpkin cheesecake brownies here. She mentioned these were at her company party and folks couldn’t get enough. We made two batches, one for party and one in honor of a colleague at work who loves pumpkin baked goods. 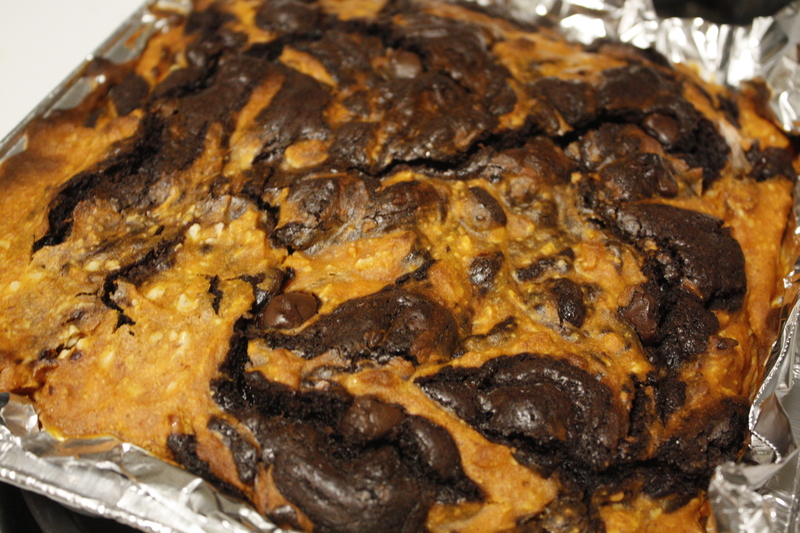 The gooey chocolate brownies were entangled with bits of chocolate chunks and the pumpkiny cheesecake brought another moistness to the cake. We did a shortcut and used Ghiradelli brownie mix. It really is one of the best store bought mixes out there. Fudgey and rich.